The Indiana corn crop is continuing to develop despite some damaging weather conditions across the state. According to recent statements from Purdue Extension corn specialist, Bob Nielsen, Indiana corn is developing ahead of 2009’s crop, which faced similarly damaging wet conditions that left much of the grain infected with fungal diseases at the time of harvest. 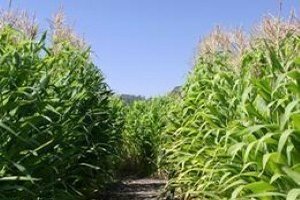 Nielsen admits that the progress of 2014’s Indiana corn crop is about two weeks ahead of where it was in 2009, which could give it time to mature and avoid damaging diseases. He added, "If crop progress continues at this pace, the bulk of the state's corn crop should mature between early and late September, in contrast with the 2009 crop that matured during the first three weeks of October. Consequently, field drydown of the grain prior to harvest should occur under relatively more favorable climatic conditions than that of 2009, resulting in faster drydown and a lower risk of delayed grain harvest." Some areas of Indiana experienced excessive rainfall early in the growing season, damaging or killing young plants, and other areas that missed rains are showing symptoms of mid-season drought stress. Some fields suffered from damage caused by wind or hail storms throughout the summer, and some others were impacted by early outbreaks of foliar diseases such as northern corn leaf blight or gray leaf spot. However, these impacted areas seem to be limited to relatively few acres as the National Agricultural Statistics Service has rated 70 percent of the statewide crop in good to excellent condition for the majority of the season. Nielsen says that only time will tell if this year’s crop will avoid significant damage, but the expected “normal” maturation in mid-to-late September is a favorable sign for Indiana producers that are getting ready to gas up their combines.